Set in Geneva, this is a rich and gripping story of love and relationships, nicely seasonsed with a touch of suspense. Kim is suddenly adrift in an expensive foreign city with a child to support. She's been trailing dutifully around the world with her unreliable husband Richard, ex-army officer turned international businessman, but early one morning he is reported killed in a plane crash in the Indonesian jungle. His shady employers insist she must leave the company-rented house within a month and, with no home in England, she finds herself destitute. Then wicked old Henri makes a practical proposition - what would you do if you were Kim? How would you cope with the extraordinary dilemmas she faces? "Henri smiled mischievously. 'Of course one admires a serious woman but so much good responsible behaviour must be rather depressing.' 'a hugely entertaining book by a gifted storyteller with exceptional perception. An absolute must!" Carousel Magazine 'I love it, the writing is fresh, the characters believable and interesting.' Eileen Ramsay 'Culture shock, romance, character studies, humour - it's all here in this novel.' Courier magazine"
Susie Vereker lived in Paris for four years with her husband before returning to England where she has since embarked on a new phase of her own life story. A member of the RNA, she now writes full-time and resides in Basingstoke, HANTS. 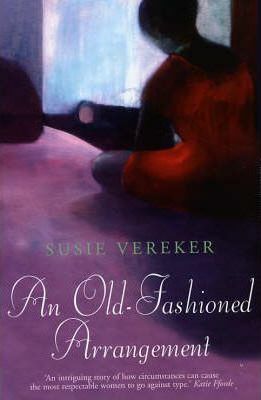 Susie's life has been one of challenge and adaptation to different countries and customs, and this has been the inspiration for both her published novels. Her first novel Pond Lane and Paris was published by Transita in 2005.